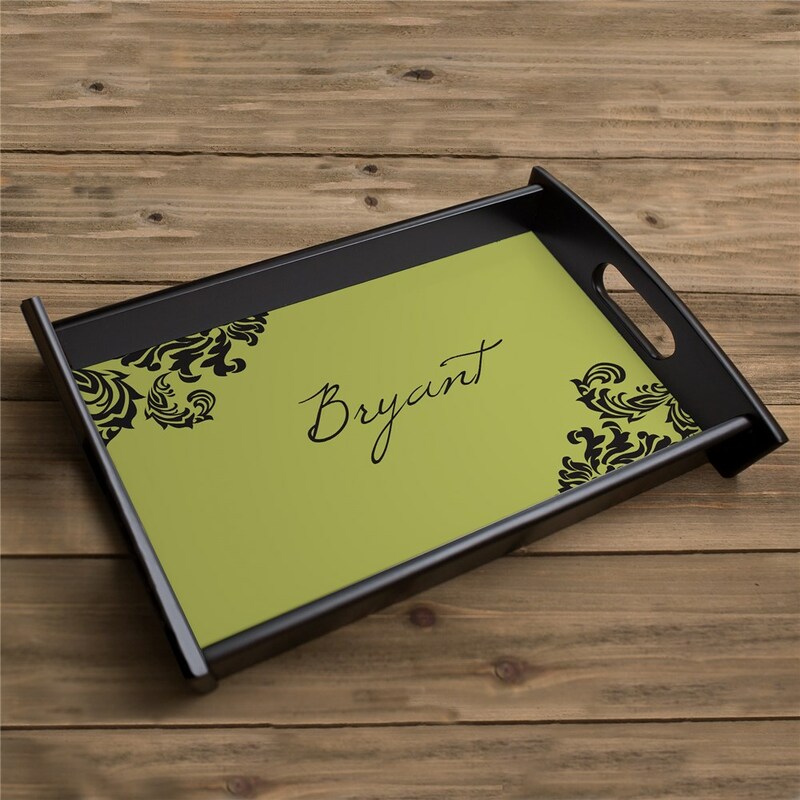 Make your next dinner party or get-together a smashing success when you serve some of your favorite meals, appetizers, and desserts on this personalized serving tray! Classically designed, this is one piece of kitchenware that will be appropriate for year-round use, no matter the occasion. This Serving Tray measures 8" x 13" and is available in a regal black. Each Personalized Serving Tray requires some assembly. Free personalization of any family name and design number is included. This is very nice. Its a gift for Christmas so I haven't put it together yet but I like what I see. Additional Details This unique and classy serving tray will be a great personalized housewarming gift for family and friends! Give them an item that they can use for future get-togethers in their new home. 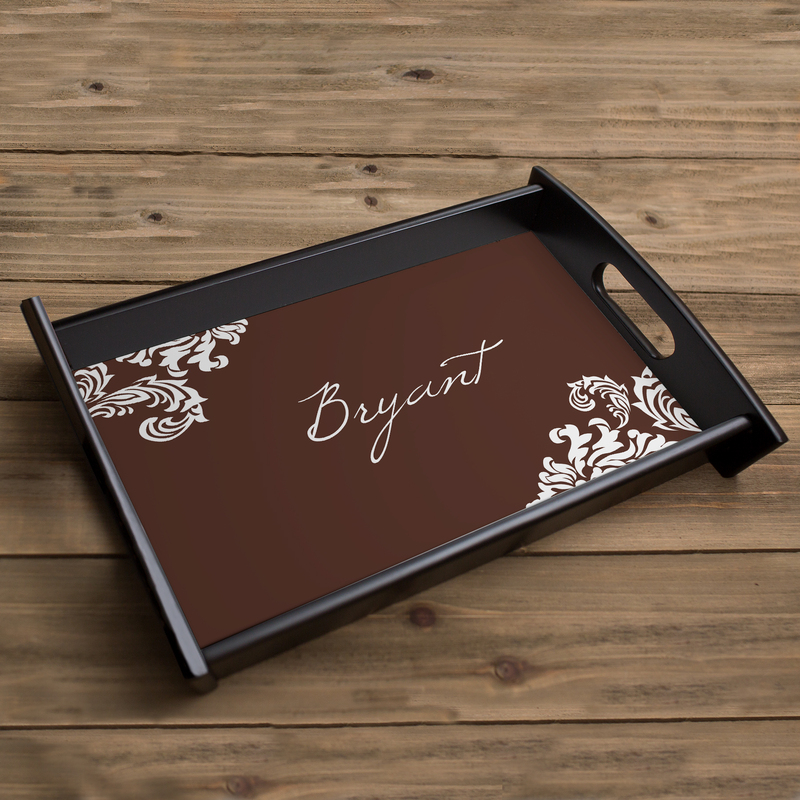 Our Personalized Monogram Cutting Board would be another great kitchen item for this occasion.